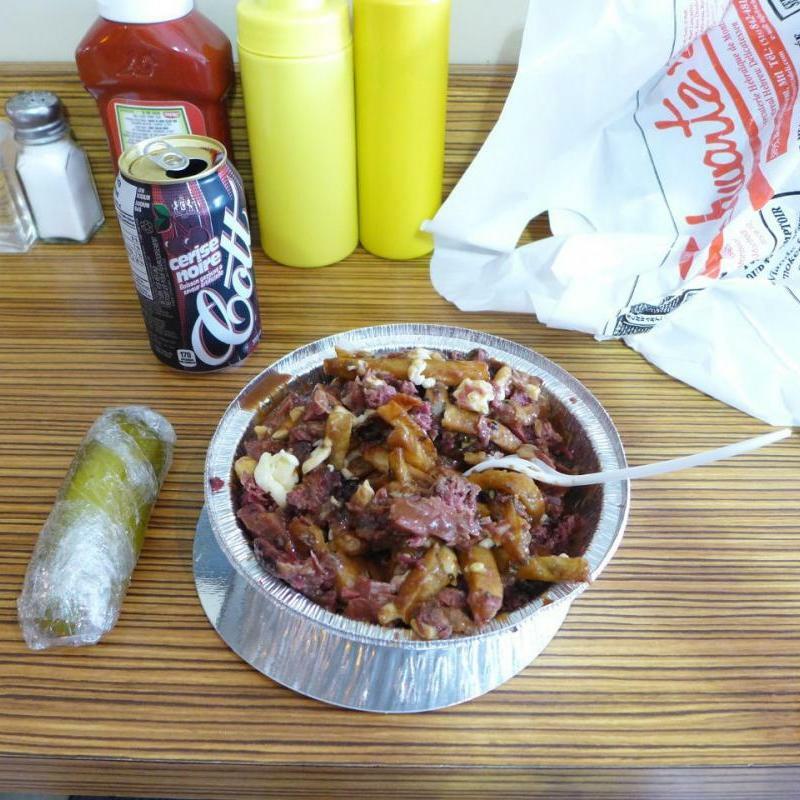 It is more of a novelty than anything - the Schwartz's Sandwich is far better in terms of enjoying smoked meat. In any case, the best poutine is also the basic nothing-added version, so this smoked-meat added poutine doesn't really increase the pleasure. The poutine itself is good, given that the fries at Schwartz's are truly outstanding. This is only served at the Schwartz's Next Door Take Out Counter (Schwartz's à côté), which is not open all the time - may only be open during summer rush hours, for example, and closed in winter, etc.